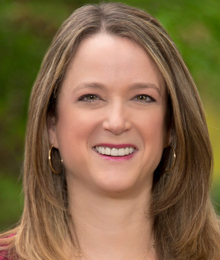 Stacey Levy, Founder and President of Stacey Levy & Associates (SLA), is a Speech-Language Pathologist with over 22 years of experience. Stacey founded SLA in 2009 as an individual speech-language pathologist. She has since expanded to include nationally accredited and state licensed associate speech-language pathologists and highly educated and qualified tutors. After receiving her BS at the University of Wisconsin, Madison, Stacey then obtained her Masters at the University of Texas-Dallas, Callier Center for Communication Disorders. Stacey and her associate therapists provide speech-language therapy services in multiple areas including auditory and language processing, expressive-receptive language, articulation and multi-sensory reading and writing instruction. Stacey also works as the Learning Coordinator at the Temple Breman School supporting a fully inclusive Sunday school program. She is also a Georgia "Bright From the Start (BFTS)" certified educator providing CEUs for teachers working at BFTS accredited Pre-Schools. And is a founding board member of the Tapestry Charter School. Copyright (c) 2012-2018 slevyassociates.com. All rights reserved.